Have you ever wondered what you would have if you crossed the high intensity Irish step dance of River dance with great humor and fast paced Maritime fiddle music? Mix thoroughly, then blend in a perfect measure of Gospel seasoning and you’d have The SKY Family from Prince Edward Island. 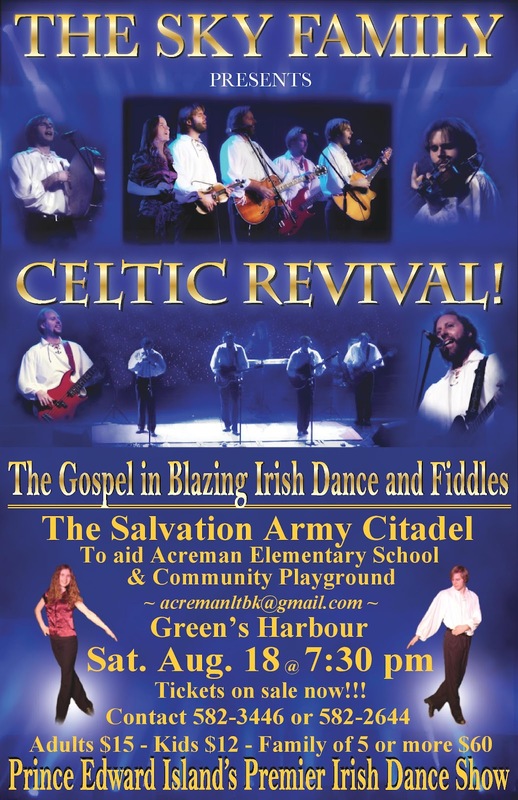 Funny and inspiring are two adjectives that fittingly describe their high energy Celtic dance and Gospel production - CELTIC REVIVAL!. The show has toured full time for the last several years. They have recently returned from extensive travel throughout the US and Canada, from as far west as Edmonton, as far north as Slave Lake and as far south as San Antonio, Texas. 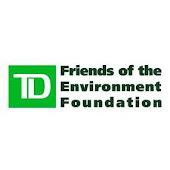 The show currently on tour throughout the US and Canada will be performed at the Green’s Harbour Salvation Army on Saturday, August 18th, 2012. The production consists of rollicking fiddle music with songs rich in harmonies. Woven throughout are hilarious stories, skits and inspirational testimonies. It is great fun for the whole family. Little ones to grandparents and all ages between are equally engaged in the high-stepping dance and humorous antics. Who is the Sky Family? They are actually just that - a real family. The group consists of dad, Tom, who plays lead guitar, fiddle and piano; sons Seth, on bass; Joel on lead fiddle, flute and saxophone; and Gabe as lead dancer, guitar and drums. Last, but certainly not least, is daughter, Miriam, who plays piano and dances a fine reel. All members contribute to the rich vocal harmonies and step dance. Hailing from the North shore of Prince Edward Island [10 minutes from Anne of Green Gables] they uniquely capture the Celtic influence of that region and now have the delight of sharing it with audiences from coast to coast. As a family, the children were homeschooled and on long winter nights honed their musical skills around the fire. The dance was added at a later date and has become the showpiece of their performance. For anyone interested in Celtic family entertainment it is a show you won’t want to miss!